A fundraiser benefiting the Kraken VC Financial Aid fund which providing for Greater Seattle area youth athletes the opportunity to participate in the 2016-2017 club volleyball season and providing the opportunity win some fun prizes while enjoying the December madness! 1. Submit your $10 donation entry. 2. Complete and submit your online bracket here. 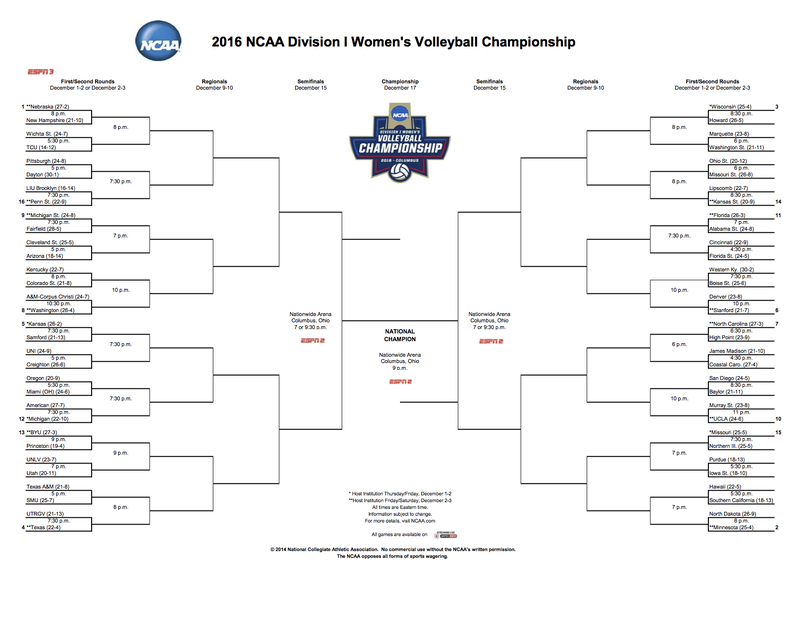 For a Referencable and Printable Bracket - Click Here! Bracket predictions and $10 donation due by 2:00PM PST (5:00PM EST) on Thursday, December 1, 2016. And Many Thanks for Supporting the Kraken VC Scholarship Fund!